I was contacted by Pretty Woman, a 5-free and cruelty-free nail polish company based in New York, and was asked to try some of their products. I don't believe I was obligated to provide a publicized review of the products, but I figured I might as well since I am trying them out anyway. So when they sent a large box of items, I was pretty surprised! I expected a polish or two, and maybe one other decor-type item. They actually sent me five polishes, a kit with four different crushed shells, and a bullion bead kit! The first item I have to show today is one of their duochrome polishes. I'm not sure what the exact name of this polish is, though. 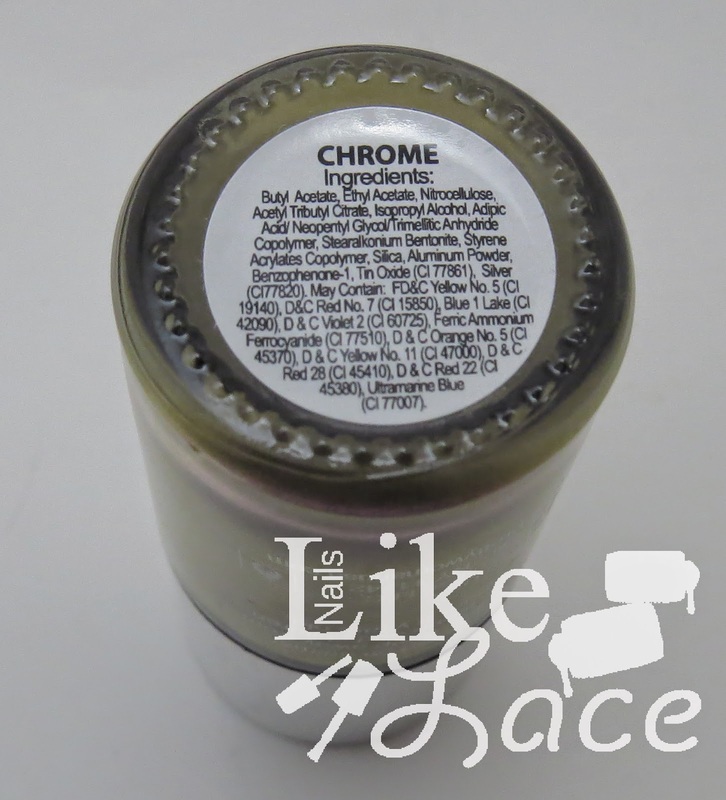 From what I can tell in my research, I think it is called Green Multi Chrome, but the bottom of the bottle just says 'Chrome'; however, there is a pink metallic polish I'll show you later that also says just 'Chrome' on the bottom, but I think it may actually be called Rose Chrome, which I found on their website. Well anyway, I just did a simple swatch of this polish. Two coats, no topcoat, and it dried pretty quick! I immediately thought this polish looked familiar and had an "ah'ha" moment. China Glaze Swanky Silk! Well let's just grab that from the trusty ole ChG shelf, shall we? Looking pretty good for a possible dupe, huh?! Can you tell the difference? Swanky Silk is on my index and ring fingers, and the Pretty Woman polish is on my middle nail and pinky. The China Glaze definitely has a little more of a yellow-gold tone to it, and the Pretty Woman polish is more duo-chromey, it has more of a color shift to it. There is a difference in the two, but it is pretty difficult to tell! They are both good to go in two coats, and have that same brushstrokey, metallic finish. Price wise, the Pretty Woman is $7.99 USD, so just slightly more expensive than China Glaze in most cases. I think I prefer the color shift of the Pretty Woman though! **EDIT** Pretty Woman's social media director contacted me to clarify the polish names. They're changing some of the names, so this one is actually called Neverland Chrome.